Hello, I’m Heather from Brie Brie Blooms. 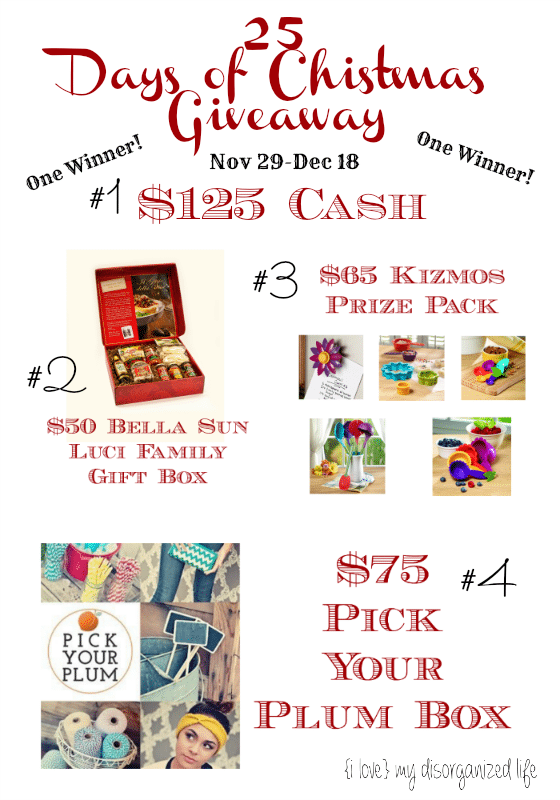 I’m a preschool teacher and mommy so kid friendly fun in the kitchen is one of my favorite types of projects. 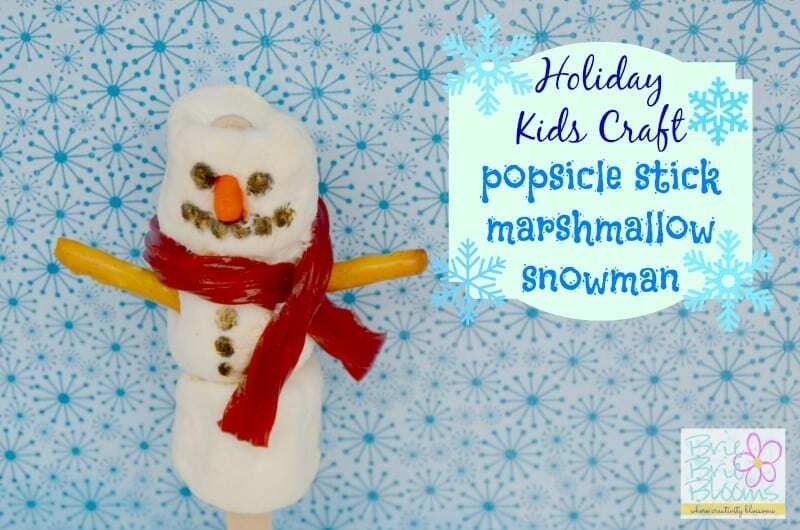 My daughter really enjoyed making a popsicle stick marshmallow snowman and I’m sure the children in my preschool classroom will love this craft too. 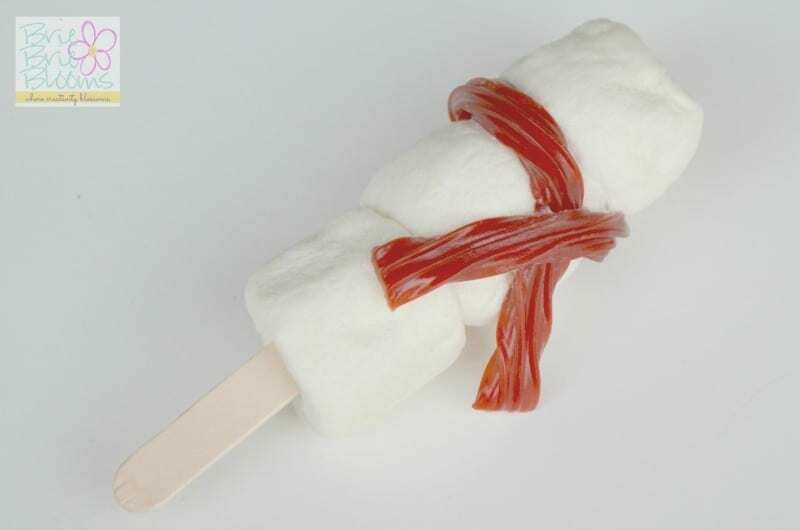 Slide marshmallows onto popsicle stick. Then gently wrap licorice between top and middle marshmallows to make scarf. 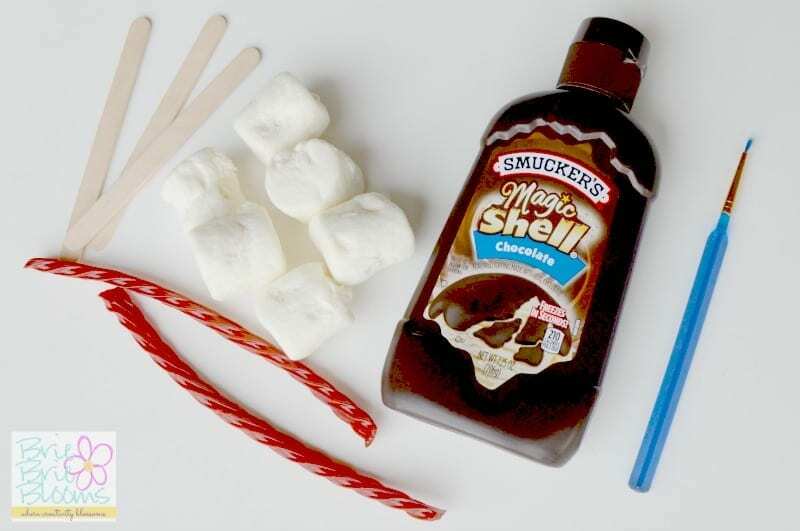 Try placing the licorice in the microwave for 10 seconds prior to wrapping it around the marshmallows. 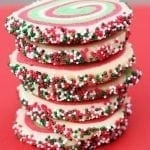 The soft licorice is just warm enough to stick to the marshmallows and stay in place. 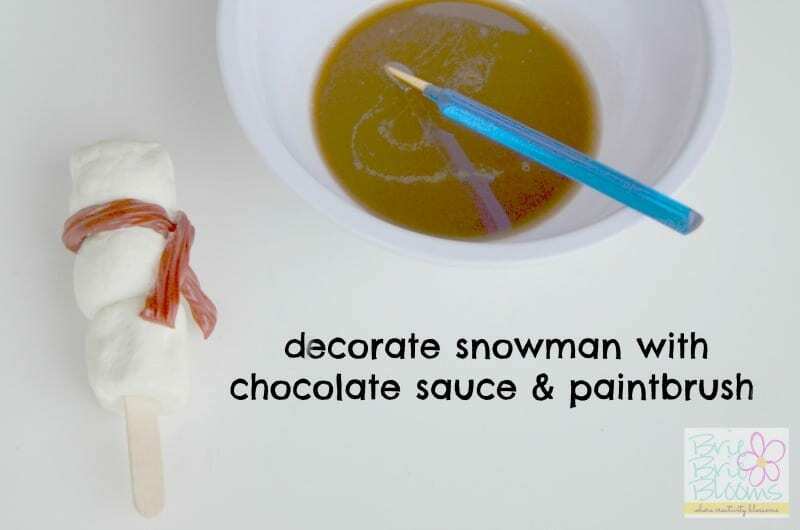 Use a new or kitchen friendly paintbrush to decorate the snowman with chocolate sauce. After my daughter painted eyes, a mouth, and buttons we added a candy corn nose and pretzel arms. 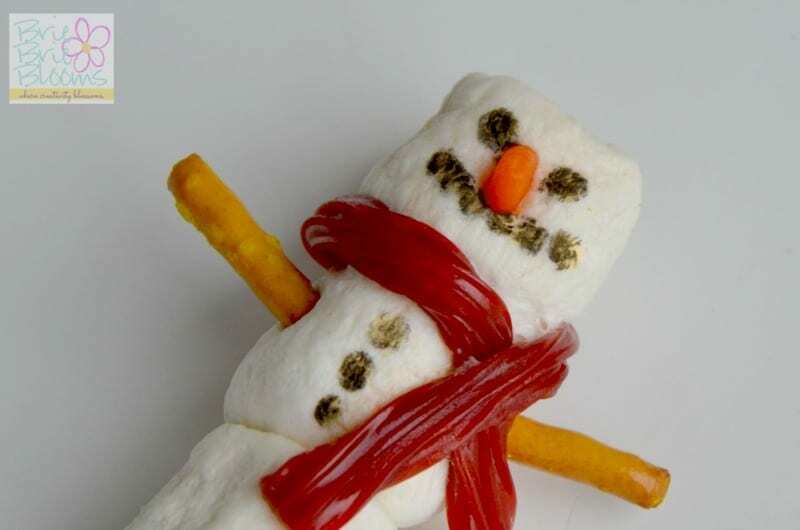 Eat your snowman or save him for later!